Business Analytics is the combination of skills, technologies, applications and processes used by organizations to gain data-driven insights. These insights can be used to aid decision-making across functions including finance, marketing, and operations. 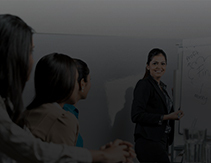 This programme is designed by practicing managers and subject experts. It aims at covering the fundamental to advances in Business Analytics. It is aimed at practical learning; therefore, most concepts will be linked with hands-on training, where participants will be expected to work with dummy datasets, and real data sets. The Professional Diploma in Business analytics is recommended to anyone involved in the planning, implementation, monitoring and measuring the effectiveness of Big Data strategy - or anyone who is looking to add a new skill set and pursue a career in this dynamic field of business analysis. The programme is suitable for professionals of all levels and disciplines, as job roles are gradually becoming more complex. Multitasking with projects executed with lean teams is a phenomenon. In such situation, an in-depth knowledge, understanding and application of data analysis techniques is a must. Participants will also learn how to leverage these strategies to gain the competitive advantage for both theirbusiness and career. Graduate Students with Statistics or maths background. 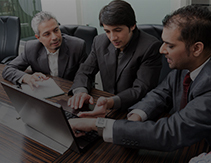 Corporates responsible for developing or implementing organizations data analysis stratergy in their organizations. Business and data analysts and database professionals willing to foray into big data analytics. Professionals /Organizations in telecom, banking, IT Consultancy, retail and healthcare who want themselves/their employee to be proficient in business analysis.